Been trying a lot of homemade stuff this past few weeks. Some were a success and some literally went down the drain. Last week, I tried making honeycomb candy. 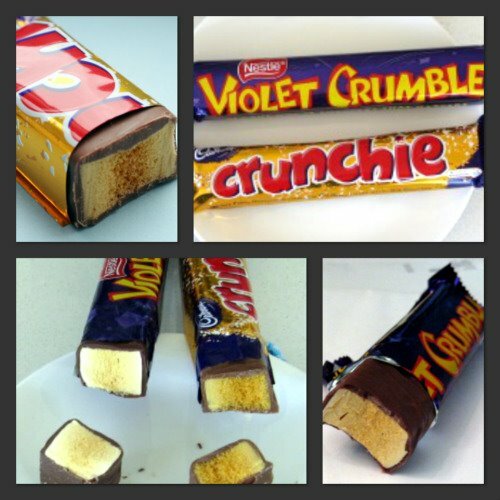 You know those sugary toffee that looks like a sponge? 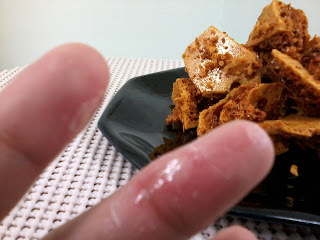 I just wanted something sweet to nibble or just an after dinner accompaniment to go with my coffee. Remember Violet Crumble or Crunchie bar? Hard to find those candies these days. 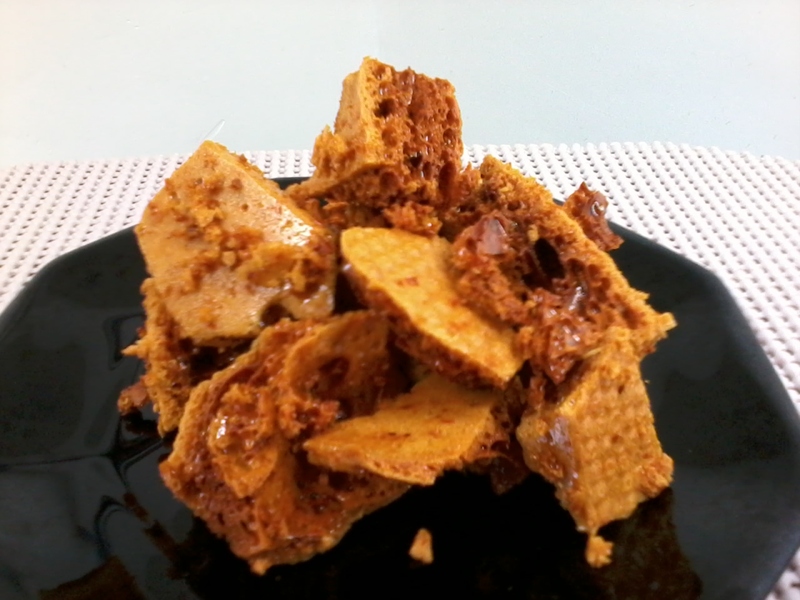 It looks like Tira-tira to me.....it's the closest candy I could associate with honeycomb here in the Philippines. Widely sold in stores when I was a kid. 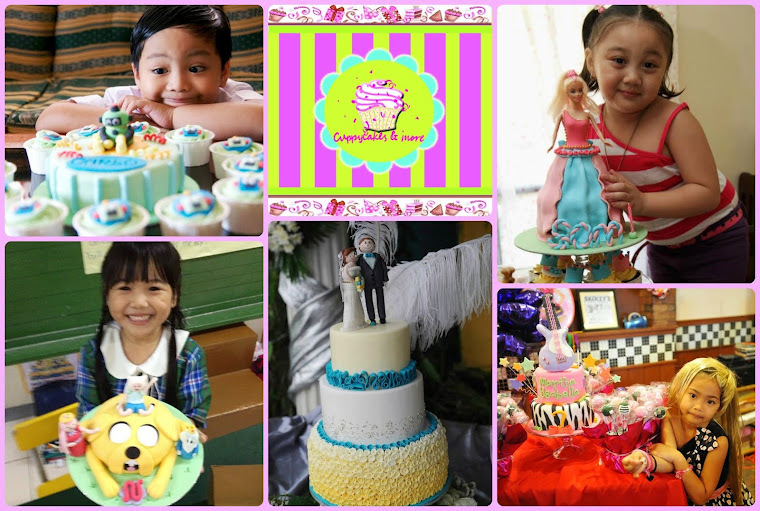 Anyway, this recipe happens so quickly so its best to prepare all the ingredients first as you'll be ready. Though I burned two fingers preparing these, I found them amazing to make. 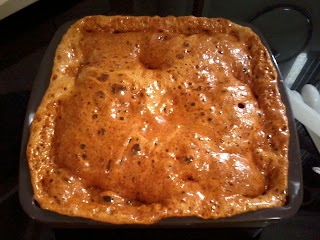 ***If you are using a cake pan, grease with the vegetable oil. I used my square silicone pan so I guess sticking is not a problem. In a deep saucepan, combine all the ingredients except for the baking soda. 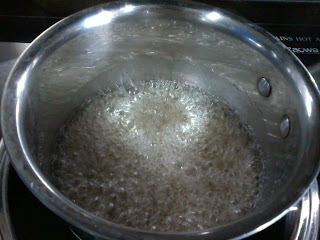 Bring to a boil and refrain from stirring. I don't have a candy thermometer so I just waited for the mixture to turn golden or light amber in color. Once it reaches that color, turn off the heat and immediately pour the baking soda. You have to work quickly at this point. 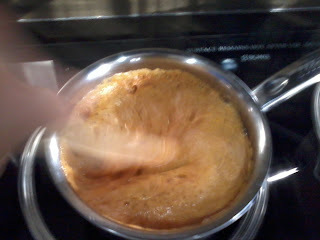 The caramel can go from perfect to burnt FAST! 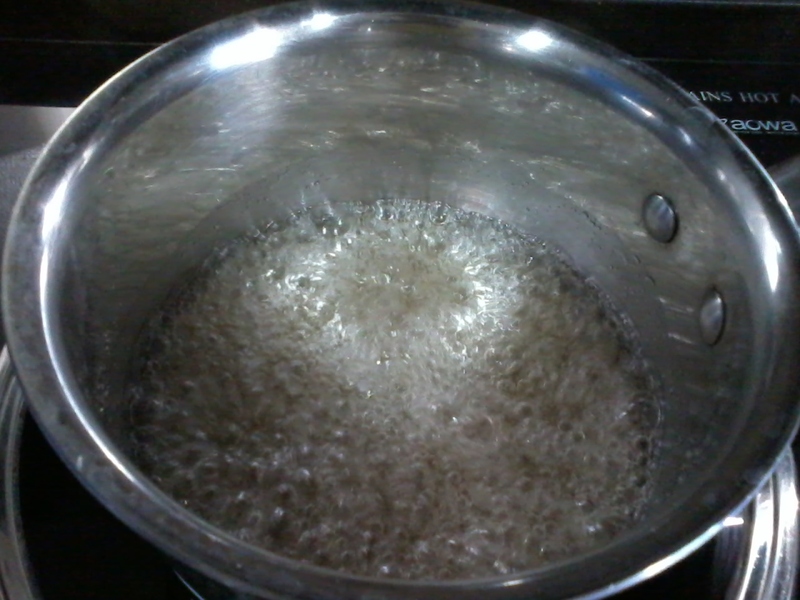 Adding the baking soda will cause it to bubble quite a bit, a lot. Pan should be quite large or it will also bubble over the sides. The trick is to combine the soda without bursting the bubble as little as possible. This gives it its light and airy texture. Transfer to your greased pan. Let cool till it hardens then crack to pieces. Once made, it cannot be left out in the open for a long time as it will attract moisture and become a sticky mess. An airtight container is much better than a ziploc bag. If you enjoy a chocolatey morsel, just melt some chocolate over a bain marie dip the chunks in and let firm on a sheet of parchment paper. I could have done that but I refused to move my fingers after it was burned....OUCH!! !